Fans can tune in to Facebook to see Jay-Z in a way they never have before. The Grammy Award winning artist has teamed up with Absolut Vodka to unveil a new documentary, NY-Z, that will stream on Absolut's Facebook page beginning on March 22. 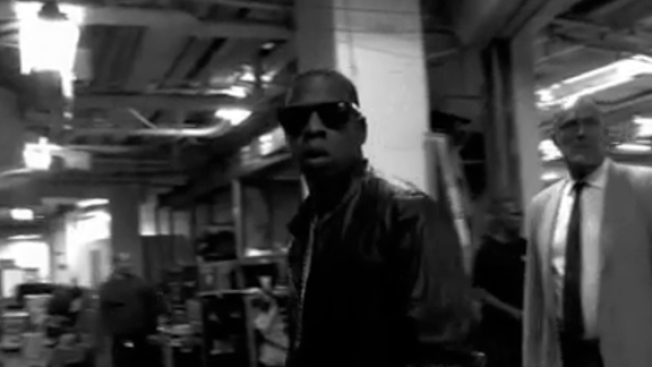 The movie, directed by Danny Clinch, chronicles what happened on and off stage during Jigga Man's Answer the Call benefit concert at Madison Square Garden on Sept. 11, 2009. Become a fan of the liquor company on Facebook and get access to the movie's premiere at the end of the month. In the meantime, enjoy the countdown, get some cool drink recipes and enter to win cool prizes. Check out the trailer above. From the looks of it, we're in for an all New York party, shot in black and fight, with plenty of cool interviews -- the ever-amusing John Mayer included among them -- and backstage parties.